At Linkoping on May 19, as the Gripen E was rolled out by Sweden’s Saab, the national flavour in the air was undoubtedly Brazilian. Brazil had the largest number of journalists, officials and military at the ceremony, the country’s flag colours were first to adorn the newly unveiled Gripen Echo after the Swedish blue-yellow. The chunky $4.7 billion deal Saab bagged last year with Brazil to supply 36 new generation Gripens to the Brazilian Air Force still electrifies this Swedish city that builds the jet. Brazil has bet big on the Gripen, harvesting a local build program and a complex production and development sharing arrangement with Sweden. But beyond the Brazilian frisson that still clings like static to everything in Linkoping this season, there are bigger things in Saab’s forward plan. That, without a doubt, is India. Saab is in no way new to India — and the last decade has given it a more gritty taste of the country than ever before — but the Gripen’s ultimate defeat in the legendarily abortive M-MRCA contest was in many ways a shut door. But with Indian defence contracting proving itself to be the meandering beast it is, two circumstances have presented something of a revived shot to Saab (among others who didn’t make the M-MRCA cut). One, sustained though somewhat passive turbulence in India’s efforts to close a deal for new fighter jets (currently negotiations for 36 Rafale fighters with the French government & Dassault). And two, the Indian government’s anthem ‘Make in India’ manufacturing hardsell. First off, a flourish of typical Swedish optimism. Saab believes that even with the Rafale and the Tejas, there’s operational space for the Gripen in Indian inventory. If that’s anathema to prescribers of type rationalisation, Saab believes its overall package could make the Gripen fit right in. We’ll return to that shortly. What struck me as potentially crucial to Saab’s pitch is that the company has said it will yoke to the Gripen package an offer to transfer its highest-end AESA radar technology, including its award-winning Gallium Nitride (GaN) technology — technology it claims has left U.S. radar houses behind. (It’s interesting of course that the Gripen itself uses the Selex Raven AESA radar, and Saab’s own GaN AESA will only potentially be optional on the jet at some future point). 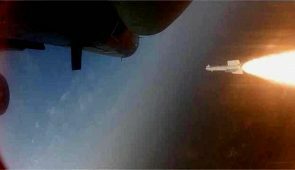 Saab believes the GaN AESA deal could prove a game-changer, if India chooses to partner with Saab in the current indigenous AESA effort being led by the DRDO’s LRDE laboratory. “We would complement Indian industry with experience as a fighter radar system integrator,” says Lars Tossman, Saab’s Head of Airborne Surveillance. Tossman was in India earlier this month for meetings on the GaN AESA with Indian private firms and government representatives. “We opened some eyes,” he told he your correspondent when I asked about how the people he met in India perceived the technology. Saab is also looking at HAL’s RFI for AESA radars. The message is clear: the GaN AESA radar is available to India should it choose to partner with Saab. Saab’s resources are currently focused on the Gripen E, but it recently revealed what looked like a future combat air system (FCAS), a concept that looks vastly similar to an early iteration India’s own AMCA fifth generation concept. Saab plans to formally propose a partnership on the AMCA. So far it’s been in the realm of talk. Mats Palmberg, Saab’s Vice President for Industrial Partnerships in aeronautics told me a joint development of an FCAS-AMCA was something Saab would be deeply interested in. Of course, if that happened, it would be India’s second joint fifth generation fighter programme. Either way, it’s too early for anything but the preliminary discussions that Saab intends to hold with the Indian government. The Tejas, a fighter oft compared with the Gripen C, is a type that has come of age, and despite bumps in its finishing stretch, will see rightful place in the IAF inventory soon. Saab sees an opportunity there too: a multi-tiered technology infusion/consultancy arrangement that could boost the Tejas in its current and/or Mk.2 iteration. Finally, the ‘Make in India’ Gripen package itself: Saab has a fairly detailed floor pitch already. The company has communicated to the Indian government that should India choose to build the Gripen for its IAF, things will lift off with a dedicated Indian Gripen line at Saab’s facilities using Indian industry partners are participants. This line would begin building jets while Saab and its Indian partners build greenfield Gripen infrastructure in India. 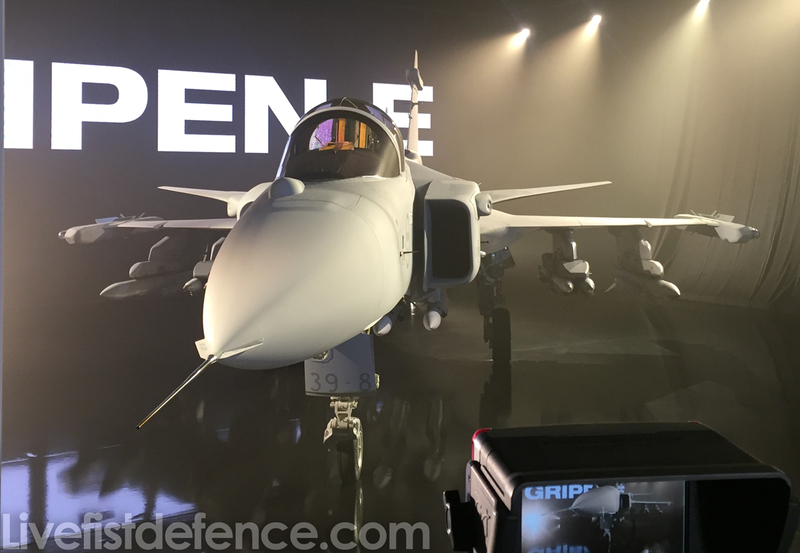 Once that’s done, indigenous manufacture of the Gripen would begin by Indian industry with Saab support with a phased capacity ramp-up plan built in. Would Sweden agree to purchase Tejas Mk.1 A? Would it also agree to purchase the N-Tejas ? If the answer to the above is NO, then why oh why is SAAB pressing India to buy /manufacture its Gripen? (version doesn’t matter). And why is the Indian govt. even entertaining them ? The difference between the Tejas Mk.1 A and the Gripen E is only the engine, and nothing else. While Tejas uses GE F-404, the Gripen uses GE F-414. The payload of both jets is similar and the range too will be the same with refueling. When Shri. Parrikar himself has said that in terms of avionics and electronics, the Tejas is equal to the Rafale, why on earth do we need the Gripen for ? Your questions are based on the fantasy that the Tejas is anywhere near Gripen E in capability. if Gripen -E a/c is superior to Tejas Mk2 A/C , then india should stop developing Mk2 a/c. Go for collaboration with Saab to procure Gripen-E with the condition for collaboration for AMCA and UCAV programs to cut down lead time. It’s a tactical fighter and we ain’t need one. I hate to see this so called defense website like this and ‘experts’ ‘ promoting’ these ACs. Besides that it would be stupid to think that SAAB to could help build AMCA/ UCAV as it has no expertise or experience in building them. An excellent aircraft which is seriously underestimated in terms of capability, by most people. Whether it can still find a place in our Air Force is a question though.